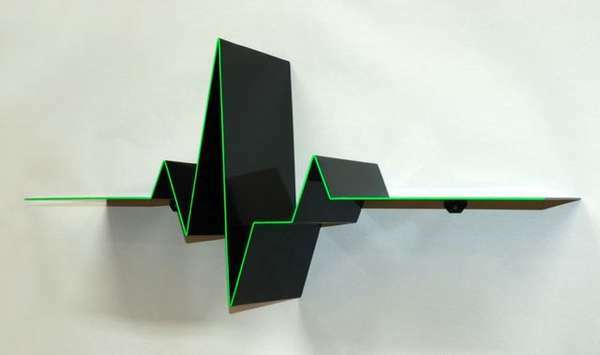 Inspired by the pulseline that illustrates the heartbeat, the Pulseline book shelf by MÃ¥ns Salomonsen is made of 3mm sheet metal and the edge is painted with fluorescent green glows in blacklight. 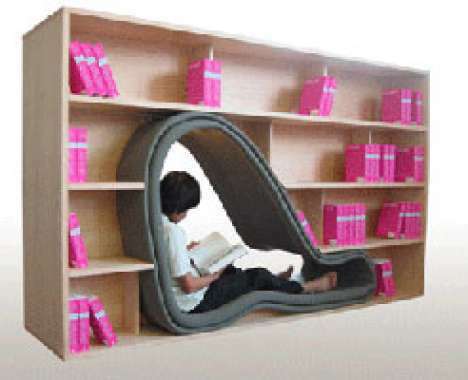 Apart from the cool design, I like how the shelf provides convenient places to hold large books in the deep pulse areas. 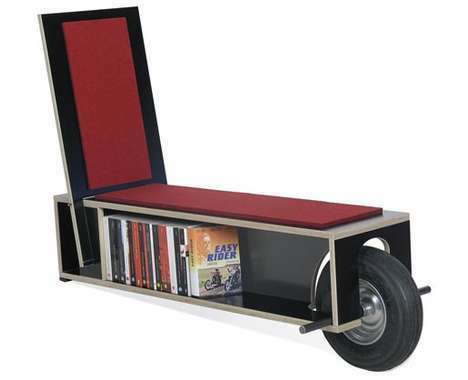 Otherwise the big books would need something to hold them while standing up. I think even empty, the shelf looks like a piece of art on the wall.